Like many people, Naomi Cox feels overwhelmed by what is happening in Syria. She was sitting in her car one day with thoughts running through her head. 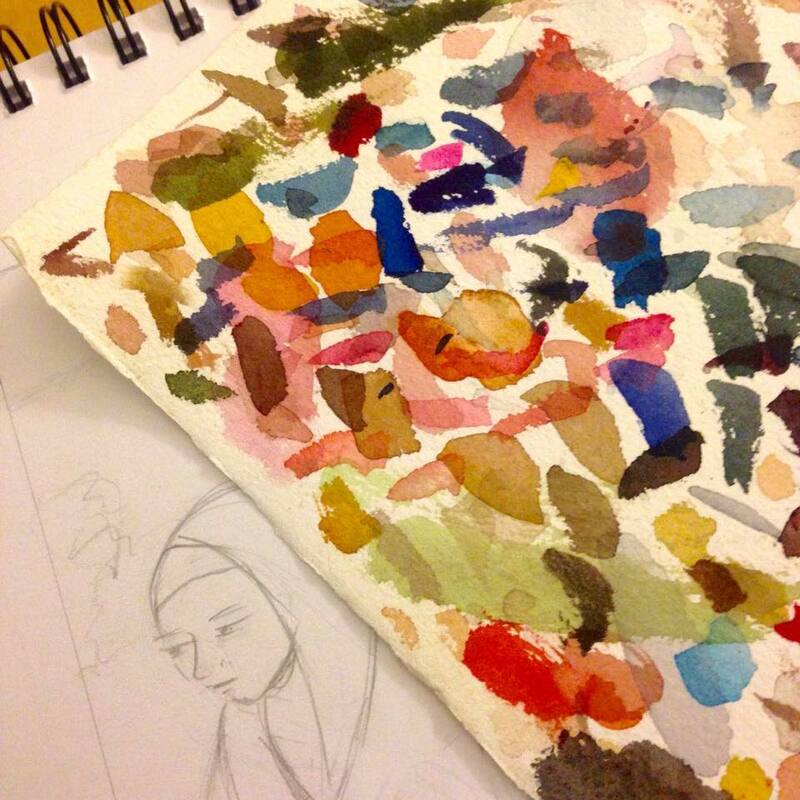 Out of this moment an idea was born, Displaced :: Moments in the lives of Syrian refugees. Naomi is a graphic designer, owner of Spill Studio, and works at World Vision. 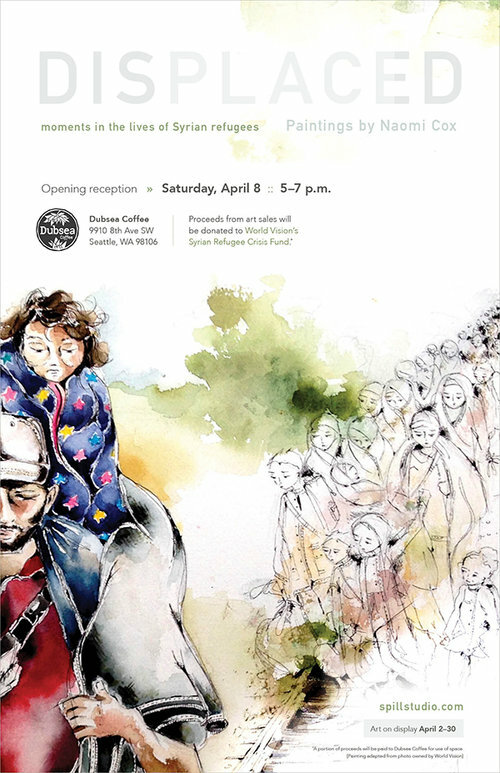 This month at Dubsea coffee in Seattle you can see Displaced. This series of 12 watercolor paintings depicts life for refugees fleeing Syria by boat, migrating into Europe by land, and stuck in camps and settlements in Lebanon and Jordan. Advocacy can take many forms. Your first step doesn’t have to be writing an email or contacting Congress. Advocacy is also about raising awareness, and that can start with your talents, passions, and what you know. For many people, the refugee crisis is just a concept. Through her paintings, Naomi puts a face to the crisis, makes it real, and creates something that people can connect to. In the end, advocacy is about making a difference. If there is passion where there wasn’t before, more money to help, or new knowledge, you have made a difference. In addition to raising awareness, funds raised from the sales of paintings will be donated to World Vision’s Syrian Refugee Crisis Fund. To learn more, visit Spill Studio. (Photos courtesy of Naomi Cox/Spill Studio ©2017.) Paintings adapted from photos owned by World Vision.